Who is telling fibs at Forest? | Through the seasons before us..
Who is telling fibs at Forest? 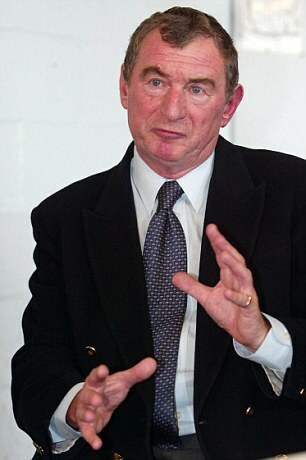 David Pleat: Superfluous consultant or sacrificial lamb? Mark Arthur says that David Pleat has been relieved of his part-time consultancy role at Forest. A couple of weeks ago John Pelling said that he was no longer in such a role at Forest on BBC Radio Nottingham’s Matchtalk programme. I’m not one to point fingers when I’m not privy information to substantiate – but it seems to me that one of these two versions of the truth has to be incorrect. Maybe it’s because in some quarters is was previewed with the billing of ‘big news’ coming from NFFC – maybe it’s just delayed confirmation of what Pelling said. Or, if I’m being more cynical, perhaps – in the face of increasing unrest from the fanbase – it’s a fairly shoddy attention-deflector. It’s true that David Pleat has always been targeted by some sections of our fans as a kind of malign influence on our club’s doings – maybe the club thought they could leverage this groundswell of ill-feeling an make Pleat into a sacrificial lamb. For what though? It’s not likely to provide a sufficient lightning conductor to detract the rage many are feeling towards both Steve McClaren and/or the board at the club in the wake of a spectacularly disappointing start to the season under a new manager. On the flipside, it was pretty well known that as well as a section of fans our former manager Billy Davies wasn’t exactly fond of the arrangement with David Pleat in place – so maybe we can intuit the removal of Pleat from his role as being a show of support in the manager. If that’s true, of course, it means that John Pelling is a liar. Plus is the board giving full backing to a manager who has been so demonstrably bad at tactics, selections and motivation necessarily a good thing? Man, I’m grumpy. I don’t like not being able to find a positive way of thinking about something, but whichever way you look at this story somebody on the Forest board is telling big fat porkies. Maybe I’m a bit naive to find that unsettling. I’m not so sure Billy would have worked so hard at engineering his way out of Forest if he was planning on coming back any time soon – without getting into whether the Forest board would ever go to him with such an offer! Reality Check – this affects nothing. It’s like cutting off an arm when the cancer has spread tp th chest. This is a MArtha disinformation distraction of cynical proportions. Glad he has gone but this will don nothing to re-establish some credibility. I’m well aware it changes nothing! I don’t think the problem is David Pleat or mark Aurthar, I think the problem is the way they deal with things and the way the go about signings. how can it take a year to sign a footballer ???!!!??? I suspect that Pelling let the cat out of the bag and Arthur has confirmed it officially. I cant deny that the timing is an interesting coincidence of course but our board ”reap what the sow’ i feel – the PR and comms to the fans has been piss poor for years and now they are damned which ever way they go. Doughty never hesitates to remind us that Forest is a business – well from my experience, if you have a business whose performance over the last 5/6 years has been inconsistent, with ‘customers’ miscommunicated too and unhappy staff (billy) then I would expect the CEO/MD to be changed…certainly shareholders would demand it. dont be fooled by all this ..pleat and his £120k a year part time role …..FOR FIK SAKE …PART TIMERS .. I CALL IT OFFLOADING AGAINST THE BOOKS ..GET RID OF ALL OF EM …MARTHUR AND THE MUFFINS AND WALLY AND HIS 3 MAN CREW ..THEYRE ALL USELESS…CHRIST MASS….. WILL BE TOO LATE …WAKE UP DOUGHNUTTY YOU TWXT….SORT IT ALL …OR SELL OUR FIKIN CLUB YOUR DROWNING US …DEMONSTRATE SATURDAY ..WE HAVE TO ..DONT FANCY RELEGATION ..REMEMBER HOW HARD IT WAS TO GET OUT OF THAT ….BUT REMEMBER MOST IMPORTANT ..BILLY SAVED US ….AND HE IS THE ONLY ONE OUT THERE CAN TURN THIS AROUND ….DONT BE FOOLED …UUUUUUUUUUUUUUUUUUUU REDDDDDDDDDDS !! At least Fulham got that creepy statue of Jacko outside their ground. Means we’re only the second most embarrassingly run club in the country. I digress, I’m completely indifferent to Pleat or MArthur or Doughty. Fundamentally, we’ve invested a hell of a lot of cash since re-appearing in the Championship. We’re reasonably well supported by our chairman, not massively, but then probably the right side of sustainably. Mistakes have been made with the aquisitions panel no doubt, but I don’t think that they’ve really damaged our chances of promotion in the past 2 years. Sure we could have done with a seasoned left-back, but i can’t believe that the board has blocked all attempts to buy one (if indeed that has happened), so surely fault is shared at least equally with the managers. What worries me this season isn’t that Doughty is holding back our chances, or deliberately stifling our team with a refusal to splash more cash (we’ve bought in a number of players, most of whom play in positions where we’ve quite a lot of depth). My concern is that the manager has taken a successful, promotion-strength squad (which we have) and has somehow destroyed all team spirit and tactical nouse. It’s like over summer we’ve completely forgotten how to play football, with the same basic team albeit a little improved. The players that the manager brought in haven’t really added anything and where we’ve needed strengthening nothing has been done. I refuse to believe that this is down to the board. It all points to a new manager that really didn’t know enough about our recent past, team, tactics, strengths, weaknesses. He should be given more time, but I am deeply concerned. but he has kept his hands firmly in his pockets at times when we needed to sign players – for example the season we went down to the 3rd Division. We are a big enough club to be in the Premiership but there have not been many players in our squads over the last few years who are good enough for that. Despite my doubts about him I was willing to give Maclaren a chance – after all he did pretty wells as a club manager at M’boro before the England fiasco – but he seems to have taken a young(ish) squas who obviuosly enjoyed playing with each other and for their manager and turned them into I don’ know what. His signings of Greening & Boating just gave us yet more central midfielders which was the area that didn’t need strengthening – and still no left back. Miller, and to a lesser extent Derbyshire, look to have at least helped our lack of forwards. Findlay getting fit is good as well but the person we most miss up front is Blackstock. In my opinion we need a left back, a back-up centre back and some wide midfielders. Cohen is very much missed on the left and Reid needs to lost about 5 stone! Then again, I’m only a fan who has had a season ticket for some 25 years so who am I to complain? agree with most of this, yet whilst we had a stronger team spirit under Billy we were still poor in the last half of the season – we did have a large slice of luck. just deleted my little comment as tim crutchley said it all for me. Total scapegoat. Ridiculous. Pleat is a sideshow. His removal is like changing chairs on the Titanic so long as Sack McClaren is in charge. This is no surprise, they have been lying to us for years. One recent example is the new stadium. They insisted they could do nothing to redevelop the City Ground, but once the World Cup bid failed, look what’s back on the agenda: re-developing the City Ground! I suspect that the FFP is a convenient excuse for Nigel Doughty not wanting to invest any more significant funds into the club. That’s fine, it’s his money, but don’t pretend FFP is the reason, you can always put in equity instead of debt and there are clearly other ways around FFP. Just like with the administration rules in the past when there was no points deduction, we will end up on the wrong end of trying to do things ‘properly’. All I want is for Doughty to come out and publically state that he is willing to the sell the club if the right responsible buyers can be found, then we can at least still have some hope that being at the mercy of a board with a track record of almost nothing but failure and our horrendous demise will one day be reversed! We’re serious about relegation, are you? Pleat has been offered another role within the club (Associate Director). Any ideas nffc what that is cause I ain’t got a clue (ESPN Soccernet). Jesus our club is a laughing stock only it ain’t funny anymore. This is a cosmetic PR stunt from Doughty and Artthur, we are a laughing stock, McClaren is absolutely useless, god forbid we give him any more time. lets have an apology for sacking Billy Davies-about as much chance as you writing off the debt!!!!! Sacking Pleat, although welcome is not the answer £120k for what? “never attribute to malice that which is explainable by incompetence”. I’ve not felt that Doughty was incompetent at business – how could he be when he’s made the £Ms he has ? Arthur is just a non-entity as far as on-pitch performance is concerned so forget the bile directed at him. What matters is that it’s the manager’s job to motivate the team whoever he’s got in it. He alone is responsible for generating morale and the will to win. He may not be given the best of material to work with, but he must have a plan – a strategy for continuous improvement. These are simple basic principles of good management ~ anywhere. When interviewing to fill a management vacancy, the recruiter has to be competent to asses these characteristics in the applicant and not just rely on a C.V. Yet it is competence in that area that Doughty seems devoid of. I was ridiculed at work when I said McClaren’s appointment was the worst one ever made at NFFC.I opened a book that he’d be out by Christmas and subsequently brought that date forward. By half-time at Burnley, I was perversely pleased because the score and abysmal performance could only accelerate removal of the clown. Hearing that “a manager has got the full backing of the board” is a sure sign in most companies, that said manager is on his way out. It makes for extremely depressing reading and shows (i) nothing new is happening and (ii) our current parlous state has existed far, far too long. They really are a bizarre set of people that run our club im not fooled by the Pleat departure I hope the protest on Saturday has its effect. We will get turned over again by Brum and then MA has to go and McClaren has to go also as he is not the right man for the job. pleat has gone its all ok please! Red Ric – interesting call for the Psycho to return. I would certainly prefer him to McClaren, but having watched Eng U21s this summer the football was total garbage and the team seemed to lack any tactical direction. i.e our team under cloughie in the 70s we need to get the passion back and the drive we damn well had it under wee billy but they ND & MA put the fire out. Brian Laws would be my choice. He ticks all the boxes. Knows the Championship, knows the club, and I assume he is pretty familiar with our players as when he has done stints on the radio he seems like he has watched them a lot. Still, its pointless discussing it, there’s no job to fill! As some of the comments here show, another depressing aspect of all this is the shortage of quality potential replacements for McClaren. Pearce has never been a good manager and in all likelihood never will be. Great player, great skipper and great Forest man but he’d only tarnish the legend if he took over as boss. And anyway: he’s not that stupid. As for Brian Laws, he’s just a poor man’s Stuart Pearce. Here’s another thing: this league is even more wide open than usual this year. An experienced better-than-average championship side with an experienced better-than-average manager could clean up here. That’s what we were a few months ago – and we could be again, but not with this guy in charge. Billy said he had to be careful who he brought in so as not to disrupt the harmony of the dressing room !! This situation is what he was afraid of if he recruited the wrong players. He didn’t know the Championship,he didn’t know our players and now we will be fighting relegation again !
. Doughty Has to put the club up for sale now !! Lets see if there are any serious investors out there !! He has nothing to lose by trying !! There have to be major changes now before it’s too late ! Mclaren has to admit he made a mistake and resign gracefully. His so called reputation is already shot to pieces ! He with be doing our club a favour !! Christ, Even John Pemberton would have done a better job and the team would have bust a gut for him ! Caretaker manager to the end of the season…I’d be happier than This clown staying !! Alan…………i wish you was right …The club up for sale ? I missed that being publicly anounced ……..well said Mishi ………and also Beswicks gone,,what was his job ??? LOL …..for fiks sake our club is being run by a bunch of piss takers …..we cant afford not to show our voices saturday mainstand car park, we have to mass there and make our voices heard , we have a part to play …..LETS PLAY IT ..SHOUT OUR FELINGS AGAINST THE BOARD 15 MINS PRIOR TO KICK OFF. THIS IS OUR CHANCE …LOTS OF MEDIA WILL BE THERE …….COME ON YOU REEEEEEEEEEEEEEDS !!! SPREAD THE WORD …MAIN STAND CAR PARK 15 MINS PRIOR TO KICK OFF ….!!!! Totally agree with NFFC. Pleat is only the diversion away from a manager who having been out of the english game for 5 years , is totally devoid of team motivation and tactics, and has lost the dressing room. Billy Davies won`t come back, and Doughty won`t sack McClaren because it will cost him too much, or sorry it could be because of FFP ! I have been a Forest supporter for over 50 years and have never seen the team “perform as badly as they did against Burnley. I’ve got a different perspective on all of this really. Firstly i think we’re from the most embarrassing team in the league as has been stated by various posters. One only has to look at the issues at teams like brum with a chairman facing corruption charges, plymouth, led by the ineptitude of risdale, or blackburn to name but a few. Herein i feel lies the problem. We, as a club, and therefore also as fans, have really had no identity since the departure of a certain mr clough. I believe the constant doom and gloom spouted by forest fans is a reflection of us trying to find some sort of identity which is something every club needs. Clubs inevitably have peaks and troughs and our form over the doughty reign has not been dissimilar to other proud clubs like the sheffield’s, leeds, newcastle’s, man city’s and dare i say it even the likes of watford, norwich and ispwich albeit all to varying degrees. With the exception of kinnear, i can honestly say i’ve understood and been optimistic with every managerial appointment we’ve made since doughty came in, yes even platt. However hindsight and retrospect are a wonderful thing. During his rein i can also say that doughty has been pretty liberal with his spending, certainly much more liberal than other chairmen of clubs who get average attendances and create modest revenue. However we as fans seem to have slipped into an identity of being hard done by, victims, of a scheming board and owner who’s motives and methods are somewhat unsound. Man city is an interesting case in point. As a club they have had as dark days as us with the difference being, in my opinion the retention of a loyal fan base, regularly at full capacity in the third division when we regularly attracted around 10 to 12 thousand and, i feel developed a siege mentality throughout their tribulations wich has played a part in their recent history, that their identity has again shifted is clear following huge investment, and it will be interesting to see the fans take on this new identity. Yes we’re in a mess at the moment but we will undoubtedly be out of the trough at some point in the future. Credit to those who have stuck with us through the dark days and hopefully, it’ll make us all the more strong when we’re finally plying our trade at a higher level. I’m fully prepared to be shot down in flames, but i hope my general point is clear. Sorry to have rambled on. Keep the faith ladies and gentlemen. John, I disagree with you on so many levels. The only way we will escape this mess at some point in the future, is by ridding ourselves of an owner and board who have been responsible for nothing but failure for over a decade. Also, we have lacked identity, but it was restored under Billy Davies. The appointment of Nigel Clough at Derby was a blessing in disguise as Forest fans were finally forced and willing to look forward and away from the Clough name. This is why sacking Billy Davies is so disappointing, as he finally restored a swagger to Nottingham Forest, a feeling of togetherness amongst the fans and players combined, but alas, he couldn’t work with the ineptitude above him and as the current manager has done, he dared to speak out. We should never have been in the third division, but our gates remained much stronger that you suggest, but we are and always have been a much smaller club than Manchester City in terms of supporter base. As I keep stating, all I ask is that Nigel Doughty recognises his failure and publically states that he would at least consider selling the club if the right responsible buyers could be found. That’s all I would protest for. billy certainly brought us many positives but as for identity i’d argue against that. This was a manager who constantly gave cryptic answers about his future at the club, often refusing to commit when he was linked with other jobs. I would say the uncertainty this created made it difficult for us to have an identity. I couldn’t say with any honesty that i would have thought billy was in it with us for the long term, and, i dont know if anyone else agrees but i wouldn’t have been suprised if he’d have left sooner, lets not forget he was the architect of his own departure, the comments he was making unfortunately made his position untenable and i think few fans were shocked or suprised when he did go. We can go one of two ways to achieve our identity, if mclaren were to go, appoint an old forest boy, a la o neil or pearce, please not laws, or get a manager with a strong enough personality to impose a new identity. Good teams have an identity and the managers identity is reflected on the pitch, think warnock teams, wenger’s arsenal, moyes at everton, even martinez’s wigan and swansea sides. I dont think mclaren’s teams have ever really had identity that said i think its far too early to be calling for his head at the moment. Over the trent we have martin allen, renowned originally for creating workmanlike, play the percentages teams yet he’s gone to notts with a whole different ethos so it can happen. Mark Arthur is the man telling fibs at Forest, or. either he’s so out of touch or unable to communicate with so many Forest fans he’s damaging the club.